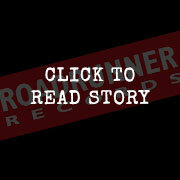 Roadrunner Records UK // A COMPETITION TO SLEIGH ALL OTHERS! WIN A RUSH SIGNATURE FENDER BASS GUITAR & A MOUNTAIN OF OTHER ROADRUNNER GOODIES! A COMPETITION TO SLEIGH ALL OTHERS! WIN A RUSH SIGNATURE FENDER BASS GUITAR & A MOUNTAIN OF OTHER ROADRUNNER GOODIES! RUSH // ‘CLOCKWORK ANGELS TOUR’ BOXSET OUT NOW! RUSH // GEDDY LEE TALKS NEW LIVE ALBUM!